Among the different themes and artistic styles Steve’s been playing with in the last thirty years, Sci-fi has it’s place ! To see all of his available pieces, visit our Online Shop and look under the SCI-FI section ! 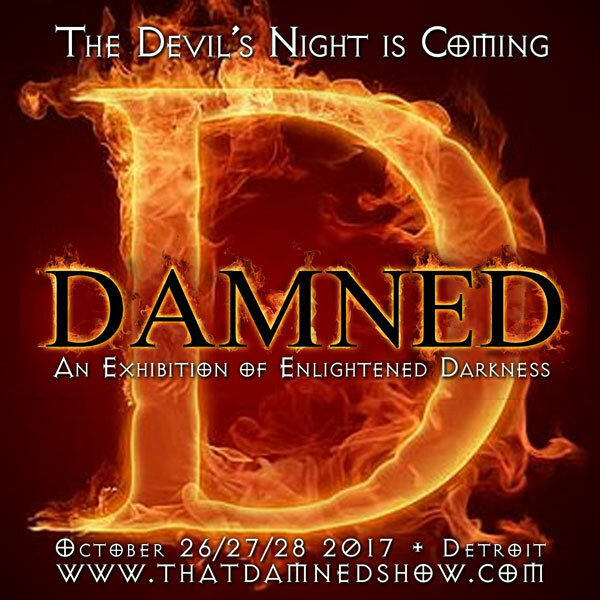 Steve’s work chosen for the 10th edition of DAMNED in Detroit ! We are very proud to announce that Steve will be among the dark artists featured at DAMNED 10th annual exhibition of art, performance and masquarade ! Event will take place in Detroit on October 26 through 28, 2017 ! We will eventually present you Steve’s 2 pieces chosen for the occasion. For more info about this extravagant event week-end take a look at their website and social medias. A few days ago we’ve announced that Steve’s had to create his own Kings of Cups for a very cool Dark Art project were 78 artists had each a Tarot card to illustrate ! Here are a few pics of the Grand Opening of Steve’s exhibition that will continue till July 1st at Le Corsaire.